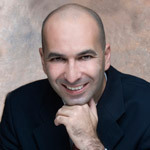 With over 15 years of experience in the information security industry, Iftach Ian Amit brings a mixture of Software development, OS, Network and web security to work on a daily basis. He is a frequent speaker at leading security conferences around the world (including BlackHat, DefCon, OWASP, InfoSecurity, etc…), and have published numerous articles and research material in leading print, online and broadcast media. Ian is a Vice President at ZeroFOX, a company that provides a social media risk management solution. Previously he served in senior leadership roles at IOActive, Security-Art, Aladdin (now SafeNet), Finjan (now TrustWave), Beefence (a startup he founded and served as the CTO of), Datavantage, and Comsec. A skilled researcher, Ian has deep technical knowledge of programming, operating systems (particularly Unix and Win32), applications (including most network server applications), penetration testing, databases, and infrastructures. He founded the Tel-Aviv DefCon chapter (DC9723). Iftach Ian is one of the founders of the Penetration Testing Execution Standard (PTES), its counterpart – the SexyDefense initiative, and a core member of the DirtySecurity crew. Ian studied Computer Science and Business Administration at the Herzliya Interdisciplinary Center and lives in Manhattan.